Doncaster Knights go into tomorrow’s Championship game against London Scottish knowing that they could need a bonus point win at the Athletic Ground to hang on to third spot. 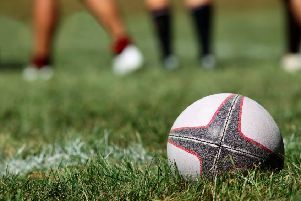 Both Ealing, who have played a game more, and Cornish Pirates could both end the weekend ahead of Knights even if the South Yorkshire side post their fourth successive away league win. The seventh-placed Exiles have even more incentive to avenge a narrow reversal at Castle Park in November for another defeat would place a huge question mark against their chances of mounting a play-off bid of their own. The Exiles haven’t won a league game since New Year’s Day but three of their four defeats have been by nine points or less. “They lost at London Irish last time out but the closeness of the score will have given them a lot of confidence,” said director of rugby Clive Griffiths. “They are up and down. They’ve got some good pace in their team – especially their back three - and are quite capable of scoring long-distance tries. But they also concede some easy tries so the set-pieces are going to be huge. “The good thing is that it’s a good pitch down there which will suit us if the conditions are conducive to an open game. “We are going into the game on the back of a good win at Nottingham and looking complete the double over Scottish and pick up another win. Knights will travel down to the capital after today’s captain’s run.